This stunning canvas features the Desert Dragon design and is 25x19cm in size. Canvas comes wrapped in plastic with hooks for hanging. This stunning clock features the Desert Dragon design.1x AA battery required. 34cm Diameter. .. Featuring the "Desert Dragon" artwork in 3D by the amazing Anne Stokes this messenger bag will be su.. This metal storage tin is ideal for holding small items and being stylish at the same time. 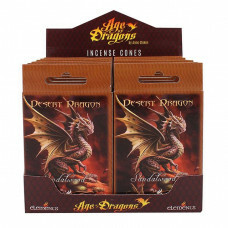 Features..
A multi purpose box designed by Anne Stokes as part of the Age of Dragons range. 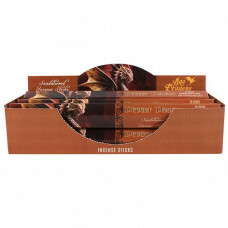 This storage box fe..
Part of the exclusive Anne Stokes Age of Dragons range. This stunning mug features the Desert Dragon..